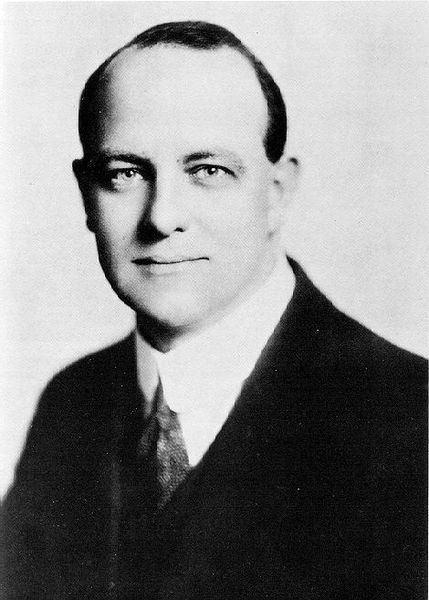 Wodehouse keeps touching the lives of residents of Plumsville in more ways than one. In success, as well as in failure. In pleasure, as also in pain. In joy, as also in remorse. Here is a blog post from Plumtopia which is a sterling example of the manner in which Plum helps us to face harsh slings and arrows of Fate. I’m not absolutely certain of my facts, but I rather fancy it’s Shakespeare who says that it’s always just when a fellow is feeling particularly braced with things in general that Fate sneaks up behind him with the bit of lead piping. Residents of Plumsville admire Psmith for more reasons than one. Eve Halliday is another character which deserves better attention than it normally gets. What happens when the two run into each other? How does their romance progress? Here is a delightful post which celebrates the gradual evolution of their relationship. Cupid, were he to come across it, would surely approve. When it comes to capturing the wide canvas of human relationships and emotions for the silver screen, Gulzar saheb surpasses all others who wield the megaphone. Here is an ode which would be relished by all those who are familiar with his work. Here is a listing of some of the lesser known songs featuring Madhubala, the Marilyn Monroe of Bollywood! The very mention of Madhubala’s name brings to our mind her dazzlingly beautiful face, her enticing smile and her charmingly sensuous persona. Acknowledged by fans and industry people across all generations as the most beautiful face to have graced our industry, she has rightfully been accorded the title of ‘Venus’ of Indian cinema! Residents of Plumsville are aware of such couples as Piggy-Maudie and Joe-Julia. To lovebirds that are young at heart and have matured over time, lining of the stomach plays an important role. At times, the prospect of an alliance between their respective children reunites them. In ‘Ring for Jeeves’, we get to meet Mrs. Spottsworth and Captain Biggar. They are also young at heart but not as advanced in age as to merit consideration either to bodily afflictions or to children’s marriage prospects. The two get introduced to each other while on a hunting spree in Kenya. Much later, they run into each other in the coffee room of the Goose and Gherkin, one of the wayside inns in England. A day later, they happen to be staying together at Rowcester Abbey, a property Mrs. Spottsworth is considering buying. Colonel Cuthbert Gervase Brabazon-Biggar had the privilege then of picking up the mortal remains of her second husband and of getting those shipped out to Nairobi. She remains in touch with both her husbands through a Ouija board. Broadminded and considerate, they keep egging her on to marry yet again. They assert that a woman, irrespective of her bank balance, needs a mate by her side. She is intensely interested in psychical research and looks forward to enthralling spiritual manifestations, that too with a dash of impatience. She does not believe in chance. She believes that even chance meetings are ‘meant’. Mrs. Spottsworth is a romantic at heart. When ‘a night complete with moonlight, singing nightingales, gentle breezes and the scent of stock and tobacco plant’ brings the two lovers together, she tries her best to kindle the passion which happens to be dormant in the bosom of Captain Biggar. The latter even gets persuaded to put on a pendant around her shapely neck, driving knives into his trembling frame. ‘Oh, rather,’ said Captain Biggar. Mrs. Spottsworth closed her eyes. Mrs. Spottsworth opened her eyes, and enlarging them to their fullest extent allowed them to play on his like searchlights. ‘You did it because you loved me,’ she said in a low, vibrant whisper. Despite being cold shouldered, her female instincts do not lead her astray. She knows that when a man chokes up and looks like an embarrassed beetroot every time he catches her eye, he is bound to be passionate about her. To bring that passion to a boil, few kind words and a melting look or two would be quite sufficient. When her diamond pendant gets purloined, she merely expects justice, not vengeance. When Captain Biggar is held to be the prime suspect, she starts losing her faith in human nature. On his part, Captain Biggar has loved her from the very moment when she, a combination of Cleopetra and Helen of Troy, had briefly popped up in his life. But his code was rigid on such matters. A pauper like him could not go mixing with wealthy widows. Tubby Frobisher and the Subahdar in the old Anglo-Malay Club at Kuala Lampur would not approve. The Biggar code not only forbids poor persons proposing to rich widows. It also encourages a white man to shield young and innocent women from the seamy side of life. When it comes to alerting poor Jill about her affianced, Bill, cooing to Mrs. Spottsworth like a turtle-dove, Captain loses no time. The code also enjoins one to be honest in one’s dealings – whether by way of chasing defaulting bookies or by returning stolen pendants. If one values money, it is only to ensure that one can feel in a position to express one’s love for a woman with a magnificent bank balance. The code jinx is broken by Mrs. Spottsworth by confirming to Captain Biggar that one of the code’s main proponents, Augustus Frobisher, has already gone ahead and married a woman who has much more money than herself. Captain’s plans of wandering out into the sunset alone get scratched. 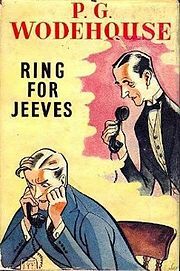 Jeeves’ services get relied upon for announcing the banns in The Times, the Telegraph and Mail and Express. Unlike the narratives which capture the characters of Piggy-Maudie and Joe-Julia, the main protagonists in this case do not get united owing to one of the juicy schemes of Jeeves. Waheeda Rehman with her exquisitely chiselled features, a rare simplicity, amazing grace and immense talent had a truly transcendental appeal. Her beautiful presence lent dignity to every character she portrayed in her long and illustrious career spanning more than three decades. From the vamp of CID in 1955 to the grandmother of Delhi-6 in 2009, she was fortunate to have got a variety of roles and her career graph is not only studded with memorable performances but also some remarkable on-screen dances.